It was hard to see how Apple could improve on the first iPad Air - arguably the finest tablet ever produced. And then it went and did so with the iPad Air 2. You can talk all you like about what counts as "too thin" but there's no denying that this new tablet is a feat of engineering that again pushes the limits of what makes a premium slate. Free download this professional iPad Air 2 video converter to get prepared now. Of course on contract it's ridiculously expensive, but then again I think most people will still want to buy the iPad Air 2 as a sofa-dwelling device, so the 4G option isn't going to be the real reason you buy this tablet. I'll get onto the design in a moment - but it's worth noting that the design alone is a good reason to pick up the new iPad Air 2. It's super light, amazingly slim and will delight over and over again for the first fortnight of ownership, before you slip back to the standard tech nonchalance that creeps over us all eventually. Did the iPad Air need to get thinner and more powerful? Not really - I'm already struggling to find must-have reasons for the improved A8X chip beyond a much faster interface and the promise of better apps and games to come - but once you actually handle the new iPad Air 2, you'll be sold. 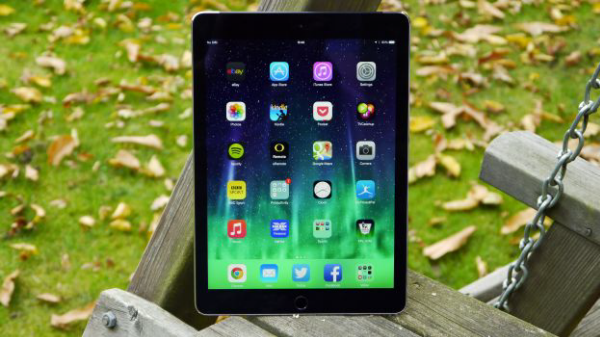 Tutorial 1: How to convert unrecognized video to iPad Air 2? Please note: Pictures in the following tutorials is screenshot of iPad Air 2 Video Converter: Any Video Converter Ultimate. Before we get started, let's download and install Any Video Converter Ultimate first. Note: iPad Air 2 Video Converter works with Windows 2000, XP, 2003, Vista operating systems. 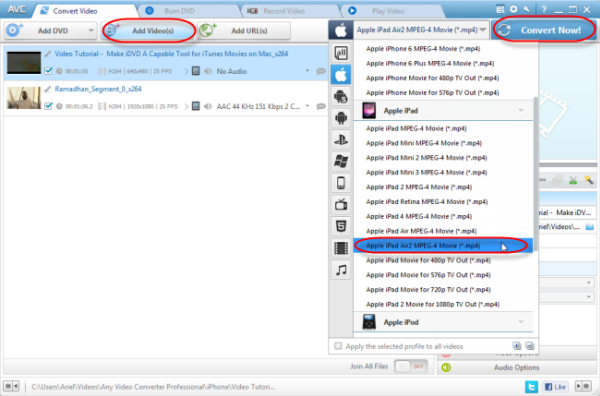 Simply click "Add Video" button to import the video files from your hard drive. "Batch video conversion" and "merging videos" are supported. Click "Output Profile>Apple iPad" and choose "Apple iPad Air 2 MPEG-4 Movie(*.mp4)" in the profile drop-down list. For better enjoying videos on iPad Air 2, you can customize video and audio options, such as Video Codec, Video Bitrate, Audio Codec, Audio Bitrate, Audio Channel, Disable Audio, etc. Click "Convert" button to start converting videos. Once the conversion is finished, you can click "Output Folder" button to get the output files. Then connect your iPad Air 2 with computer, import output video Movie into your iPad Air 2, and just enjoy it! Tutorial 2: How to transfer the converted videos to your iPad Air 2? If you are going to use iTunes to transfer files between your iPad Air 2 and PC, please wait a moment. 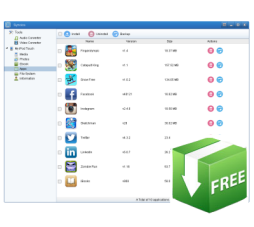 Freeware Syncios iPad Transfer will be a better choice. Here is a brief guide on how to transfer the converted videos to your iPad Air 2 with Syncios iPad Transfer. Keep reading and simply have a try. You will love it! After plugging your iPad Air 2 into PC, the program will detect your device then all info will be sorted in well manner. 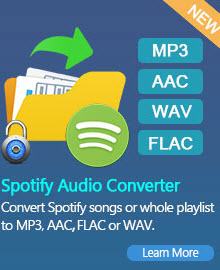 You will find Audio &Video Converter, ringtone maker from the Tools list. You can also get the list of Media, Photos, Ebook, Apps, File System, Information and more.You can check the device capacity and other information related to your device under "Welcome to Syncios" section. 2) Click Import and you can add local video files from your PC to your iPad Air 2. M4V Converter Plus is a comprehensive DRM removal tool that allows users to convert M4V videos to tons of formats. 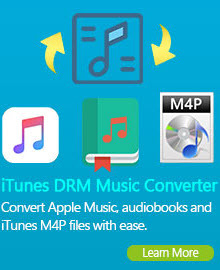 With this M4V Converter, you can enjoy iTunes movie Rentals forever on your iPad Air 2 and convert iTunes movies or TV shows to unprotected video files. The M4V Converter is quite easy for operation. You can convert iTunes videos successfully in simply 3 steps. Download the demo version to have a try!